MOSCOW, February 3. /TASS/. The Thai Airways airline company will suspend flights from Bangkok to Moscow as of March 29, 2015, a source from the Moscow office of Thai Airways said in an official statement which came to TASS on Tuesday. Thai Airways said that despite continuing interest in vacationing in Southeast Asia, which remains stable in Russia, Thai Airways made a decision to suspend its activity on the territory of the Russian Federation until the economic situation in Russia improves and demand for international flights is regained. 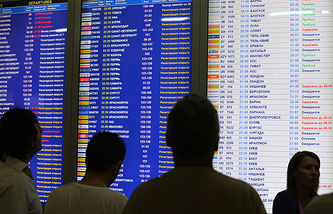 The company cited high financial risks and a declining demand for international transportations in Russia as the reason for canceling the flights. 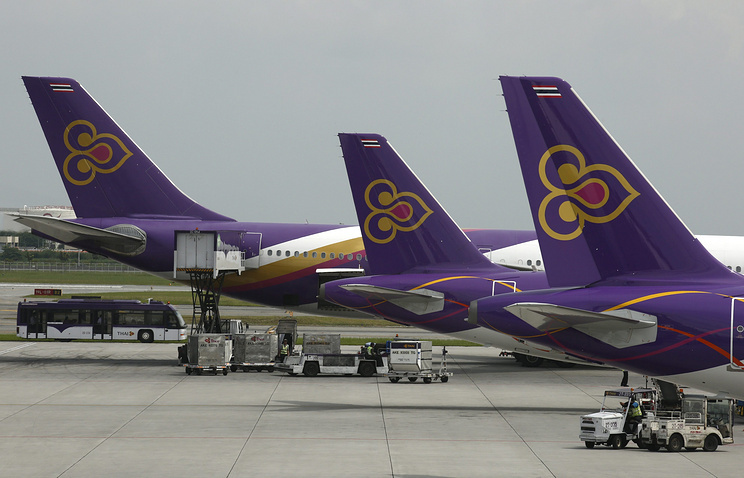 President of Thai Airways Charamporn Jotikasthira said, commenting on Thai Airways' decision to close its office in Moscow, that although Russia was ranking third in the volume of tourist transportation to Thailand, Thai Airways was unable to compete with charter flights. Passengers who booked tickets for Thai Airways flights departing after March 28, 2015 will either receive a full compensation of the ticket cost or be offered alternative flights to Moscow.